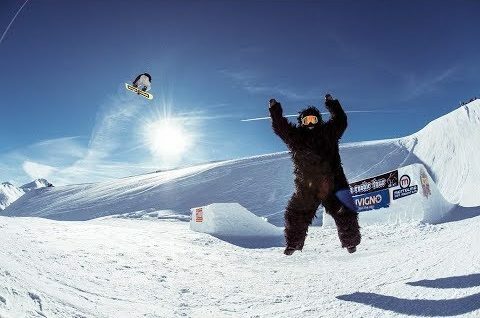 World Rookie Fest 2019 in Livigno (ITA): Nick Pünter (SUI) wins Slopestyle Contest and gets rewarded with invitational ticket to X Games qualification event in Norway! Courtesy of X-Games Watch the official athlete profiles on X Games Aspen 2019 snowboard superstars Danny Davis, Arielle Gold, Darcy Sharpe and Jamie Anderson. Courtesy of X-Games Check out these athlete profiles on X Games Aspen 2019 Ski competitors Alex Ferreira, Cassie Sharpe, Isabel Atkin, James Woods, Joss Christensen, Kelly Sildaru, Maggie Voisin, Nick Goepper and Sarah Hoefflin. Courtesy of Red Bull Media Service Team Snowboarders Rene Rinnekangas and Aleksi Partanen challenge themselves to a game of Workout Madness! World Class freestyle snowboarders compete in an unorthodox snowboarding competition. Courtesy of Red Bull Media Service Team Snowboarder Seb Toots conquers an icon, going big on the most iconic stair set in Philadelphia.